More than likely you or someone in your family suffers from seasonal allergies. It can be absolutely miserable! When the sneezing, itchy nose, watery eyes, and congestion starts, what’s a mom to do? I attended a webinar with Dr. Lawrence D. Rosen, MD from the Whole Child Center in NJ. It was a very enlightening webinar with some great solutions that any family can put to use. I took notes and thought I’d pass them along to you. Dr. Rosen first addressed the issue of addressing seasonal allergies early, even prenatally. It can be done! Dr. Rosen encourages families to look for a root cause, not just the symptoms. 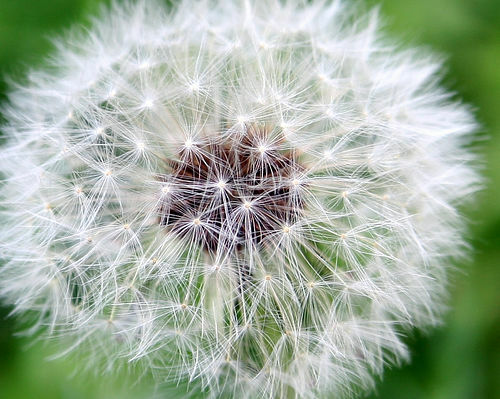 Allergic rhinitis effects 60 million people in the US and it’s increasing, statics point that perhaps 40% of children suffer from allergic rhinitis. More and more children are being affected and the cost to treat is rising. From 2000 to 2005 the cost doubled to $11.2 billion. Prevention is the preferred treatment whenever possible because it is almost always safer, usually more effective and less expensive. Dr. Rosen focuses on Integrative medicine, it’s becoming more and more popular. What does that mean exactly? It’s when doctors are using conventional medicine along with complimentary therapies. Many families are using complementary therapies such as chiropractic care, massage therapy, homeopathy, and herbs, but they aren’t always telling their doctor. Dr. Rosen encourages families to be more open with with their doctors and share with your doctor all of the therapies you are using with your family. Nutrition plays a large role in allergic disorders. Dr. Rosen points to clear evidence that breastfeeding exclusively for 4-6 months helps prevent against allergies. What a simple thing to do to get babies off on the right start. Nutrition during pregnancy and infancy can play a role in developing allergies. He discussed the issues of introducing solids. Many cultures introduce solid foods at 2-4 weeks, but waiting until at least 4 months helps to prevent allergies. He also encourages parents not to start with grains (specifically mentioning white rice). He recommends starting infants on fruits and veggies that are local and organic. He shared a website http://www.organic-center.org/ ; it’s a great resource. Organic foods have a higher density of nutrients and this helps prevents against allergies. To learn about the dirty dozen and clean fifteen visit http://www.foodnews.org/ . I have a little list I keep in my diaper bag for when I go grocery shopping, the list changes each year, so keep checking for updates. In discussing nutrition in relation to allergies, he said Vitamins A, C, E, and D can be helpful in prevention. Improving Vitamin D intake can make a big difference in children’s health, particularly those children that struggle with asthma. Quercetin is nature’s antihistamine without the side effects, these can be found in foods such as apples and onions. Bromelain is an excellent anti-inflammatory that can be found in pineapple. He encourages it to be taken early in the season for effectiveness. Healthy oils are another issue he discussed. We get plenty of Omega 6s in packaged foods, what we need is Omega 3s. These healthy fats can be found in northern oily fishes such as salmon, krill, and algae. The best forms of these oils are in food form though you can find pharmaceutical food grade fish oil supplements. Eating these healthy foods in their original, true form always seems to be your best bet. Probiotics are the good bacteria that line the intestinal tract that play a large role in digestive and immune health. Having a healthy digestive tract helps prevent against allergic disorders. Prebiotics are food sources for the probiotics. Dr. Rosen encourages moms to eat yogurt and cultured foods during pregnancy and while breastfeeding, this can result in a 50% reduced rate for allergic disorders for their children. Honey is another option in fighting allergies. Small amounts of local honey provide homeopathic doses of pollen. These small amounts on a daily basis help to build a tolerance to pollen in you area. It’s crucial to start taking the honey before allergy season starts. Some persons show allergic symptoms to honey so he encourages starting with small doses. Herbal/Botanicals can interact with conventional medications so Dr. Rosen encourages parents to please be open with your doctors when coming up with a treatment plan. Dr. Rosen mentioned Butterbur for adults, and children over 12, it has a positive effect on seasonal allergies, though the herbal community debates its safety in larger doses. Pycnogenol has been used control ADD as well as pine bark extract. For exact dosages, you need to find an herbalist, naturopath or doctor. Boswellia aka Frankincense is great for inflammatory issues and Crohn’s disease. Stinging nettle is a natural antihistamine and in purified forms, it builds and teaches the body tolerance. Homeopathy is based on the theory of “like cures like”. In homeopathic medicine very small particles are diluted and can work well for easing allergic symptoms. In homeopathy a derivative of an onion can clear up runny eyes and a runny nose, this is based on the law of similarity. These remedies have been shown to be very effective. Some families swear that certain single and combo remedies have been successful without sleepiness or hyperactivity from conventional medications. I wrote more about homeopathy here. Dr. Rosen also briefly mentioned Traditional Chinese Medicine that works with flows of energy to connect with the energy around us working to increase or decrease chi to promote health. This isn’t something I’m very familiar with. These remedies can be used on young children if used with a skilled practitioner. Manipulative therapies such as chiropractic care, osteopathy, and massage work together for the best of the child. Chiropractic is the most widely used complementary used therapy. Our family has regularly monthly visits to the chiropractor. Even NICU’s are now embracing massage therapy for infants. Environment control during peak pollen time is essential. This just makes sense, Wash it off!! Wash your hands, face, hair and change your clothes (and/or your children’s). This is an important and simple step to reduce your exposure to allergens and can make a difference. HEPA air filters in sleeping areas filter mold, pollen, and pet dander. Use a Neti Pot, this is an incredibly simple way to use saline water to rinse the pollen from the nasal cavities. Children as young as 2 and 3 can be taught to use a squeeze bottle to rinse pollen from their nose. You can search YouTube for videos of children using a neti pot. I know a Neti Pot has been such a huge help in our family. As soon as allergy season starts or my sinuses start to ache, the first thing I reach for is a Neti Pot, it’s really been a life saver for me. Integrative medicine is putting all of these modalities together. Dr. Rosen said looking back to the future of medicine, is looking back to the food we drink, the air we breathe, good nutrition, and healthy exercise. Going back to basics makes a bigger difference than the expensive modalities we spend a lot of time and money on. I thought that was a good point! I thought it was a great webinar. Lastly, the webinar ended with a few questions. How do you know if it’s really allergies (or a cold, etc.)? If there is a fever, it’s not allergies. Allergies usually last longer than a week or become worse when you go outside. Nasal congestion along with itchiness means allergies. It is unusual, but babies are developing allergies more and more. If they are outside and get a runny, itchy nose and there is a strong family history or allergies this is a possibility. Eczema, reflux and chronic congestion may be some signs of allergies in an infant. Is a humidifier helpful for allergies? Rarely is a humidifier helpful for allergies. Humidifiers can present mold issues since mold can grow in wet and moist areas. If you use a humidifier it’s important to clean it once a week with distilled vinegar. A humidifier can be helpful with a dry cough though a steam shower may be more effective. What about eye drops for allergies, do you have any recommendations? Boiron and Hyland’s make homeopathic eye drops. You can also use saline drops to flush out pollen. Cool compresses can also be helpful. Potatoes, onions and chamomile tea bags on the eyes can help. A drop of breastmilk in the eye really works for eye irritation. This webinar was sponsored by Kiwimagonline.com. I found this to be a very informative webinar. Did you learn anything new? Oh yes, I fully believe that prevention is better than cure! This is a great resource, I’m pinning and sharing 🙂 Visiting from the NPN Blog Hop!